Finally, its times for yet another addition to our list of best apps of the month. These apps don’t consist of only the latest apps, but rather the best we’ve managed to discover for our September list. These apps can be used on any android device, which covers a huge selection of devices. 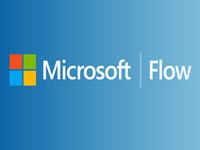 The apps mentioned below can also be used on smartphones or tablets. The apps are available via the Play Store and can be downloaded within seconds. Some of the apps are of the latest, and some are much older than others. However, most of them are constantly updated, which is also part of the reason they have reached our list with features and abilities. Some of these might not have any advantages for you while others might provide everything you’ve been hoping for. The list is in no order and has not been rated. These are simply apps we found interesting and worth showing to our readers. Many of us currently or have recently used a Blackberry and might have been impressed with the featured available. Well, now these services can download to any Android device. This will not change your interface, but simply add the features of the Blackberry device to your phone. This regards security, mail, calendar, and much more. Users can download the app, which might not look all that impressive, but the features you would desire run in the background. 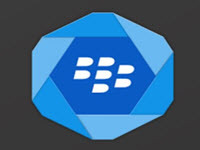 Hub+ is also the software you need to access other apps that are exclusive to Blackberry. This means you could have a Samsung device for example, but also have all the advantages of a Blackberry. The app is perfect for anyone who is moving to another Android device for a Blackberry. 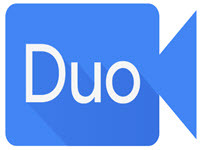 Google Duo is one of the best video call apps available. Users can download the app for free, and once your phone number has been verified, you can make and receive video calls. The app has a few great advantages, which include seeing the video feed before the answering the call. This is a free service, which will only require data or be connected to Wi-Fi. Many apps provide these features, but we were especially impressed with how easy it is to work with Duo and the fact that it’s 100% free and offers everything the paid apps do. Isotope is a great app for anyone who works with elements or just wants to find out more about what the different elements are, what they look like, and what they consist of. The app provides the full table and also provides pictures of each element. In addition, tapping on any of the elements, you will be able to access information about it, where it’s found, and much more. Users can also enjoy the paid version, which comes with a $0.99 price and will include more pictures and a lot more information regarding each element. However, for those of you who would just like to learn a bit more, the free version is more than good enough. Flow is a great addition for any mobile users. The app lets you set up your device to do exactly what you want it to do once you’ve completes a task. For example, you can tell the device to always upload photos to the cloud after you’ve added them to your Facebook account. The features work with any apps on your device, meaning a flow of actions can be created, depending on what you are doing on the device. The app is still in Beta mode, meaning bugs and small defects are expected. 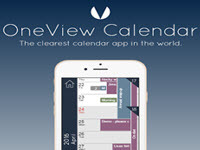 OneView Calendar is yet another calendar app, but once you’ve downloaded it, you’ll see the app has many additional features that can be helpful to your day to day requirements. The app will provide various listing types and reminders, which can contain everything you need to do in a single day ranging from business to things you need to remember on the drive home. Users will have the ability to enjoy various additions and settings, which makes it easier to use and more useable.